Need to sell this board, $350. It’s official, I’m surfed out. 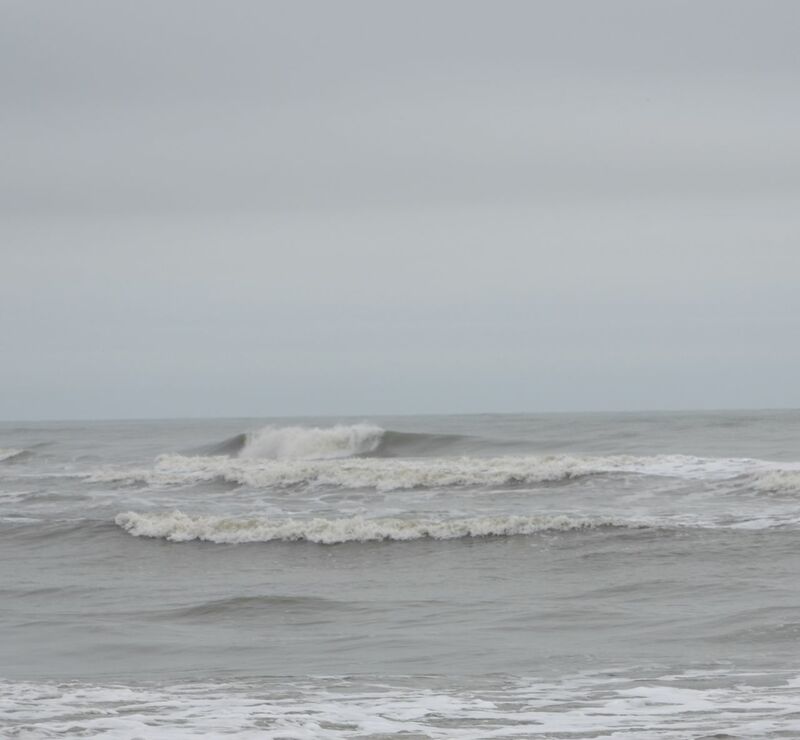 This week has been sick with waves. Sorry no pics I have been surfing some new breaks and haven’t been able to get the camera to the beach. I need a good water tight bag . More waves to come !!!!!!!! 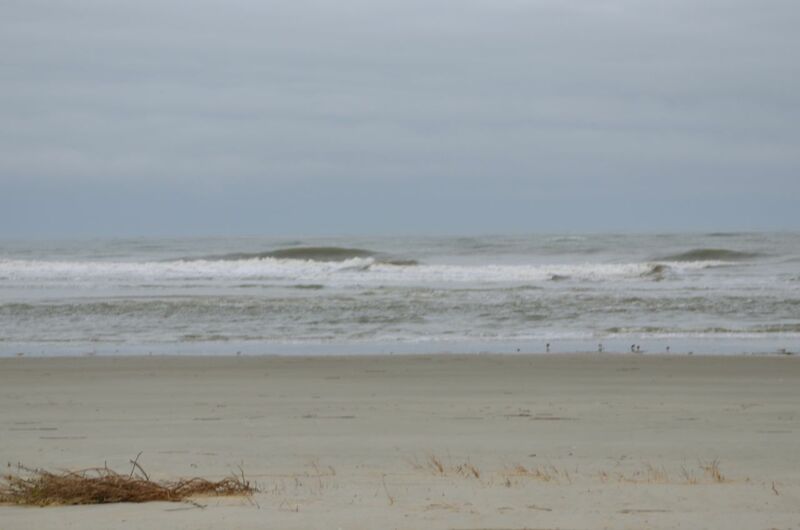 Erica may have fallen apart, but the swell hung in there for us. Head high and no one out. 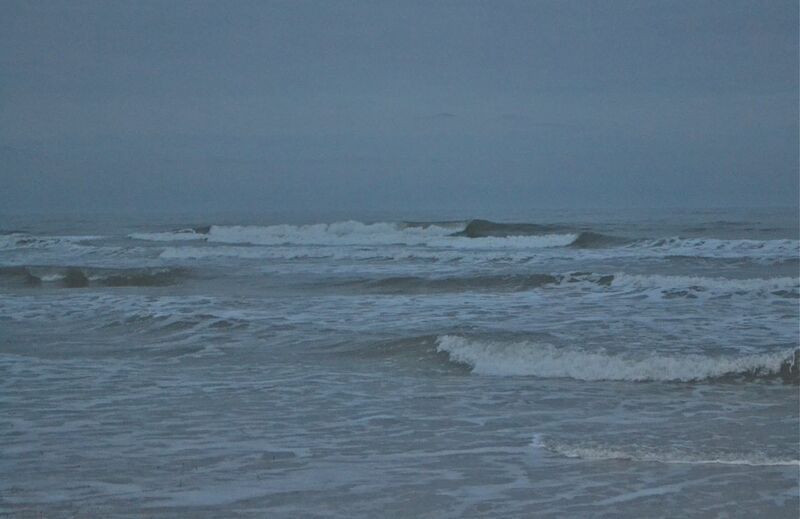 Started out cloudy and stormy looking then the sun popped out and wow did the surf get good ! 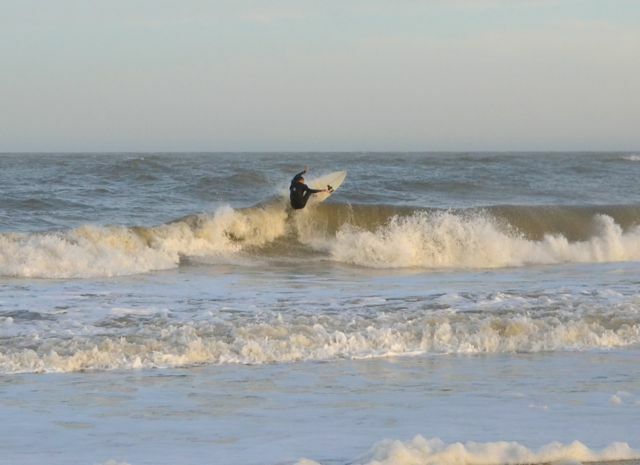 Found this wave yesterday, This was sick !!!! perfect left reeling for 150 yards easy. I had a fun solo session, and no one for miles and miles and miles. 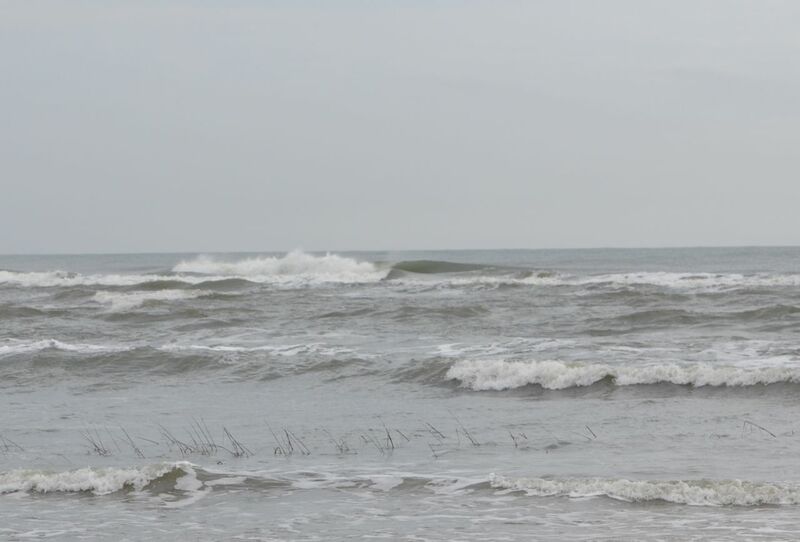 After each wave I caught I was exhausted, looking back out and realizing how far I had to paddle back outside. Well worth the effort. If you had blind folded me and put me out there I would have sworn I was in Indo. This wave is the real deal ! I only had the time for a couple of pics before I freaked out and had to catch a bunch. I would say these shots are about rib high sets were in the head high range. 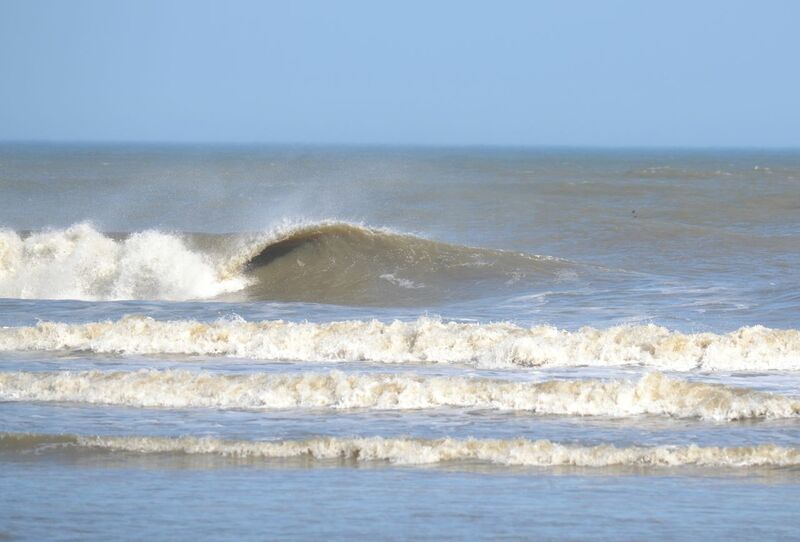 What a perfect wave, and had it all to myself ! Anyone interested in catching this spot give me a call. 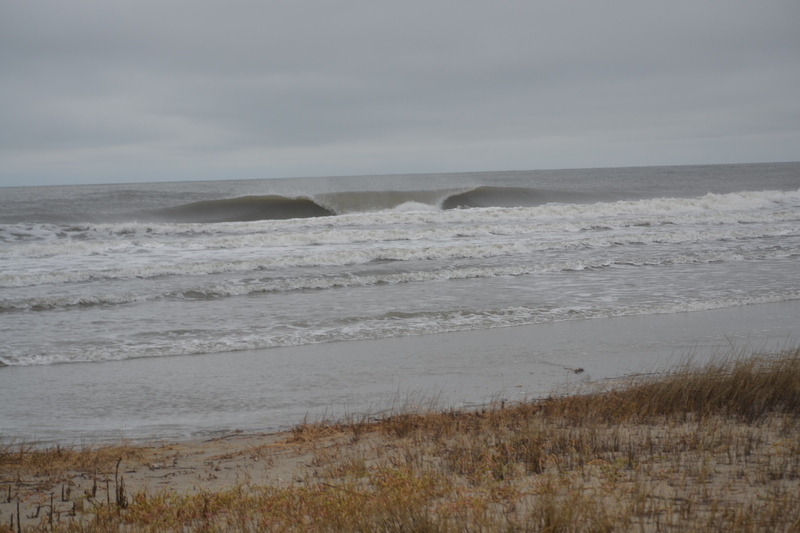 Hurricane Arthur didn’t disappoint us at all. Headed to another one of my lil secret spots with Timmy Saunders and Trip Wolfe. This wave is the bomb ! 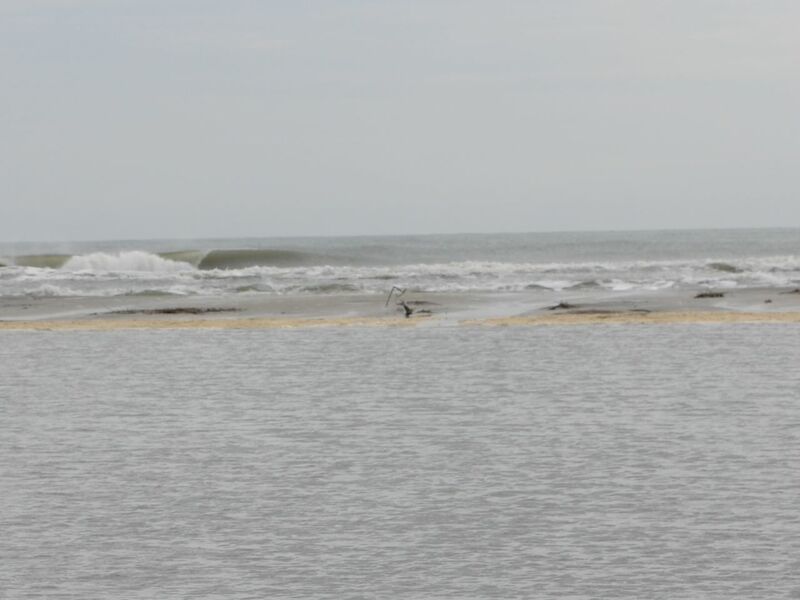 early in the incoming tide one bar was very much like a point wave, but as the tide came in we moved a bit further south and surfed a wedge of a beach break. Barrels right and left. After 5 hour surf session we were so toast, I was so glad the surf was small the following day. I couldn’t do another session like that again. 2014 has started with a bang ! 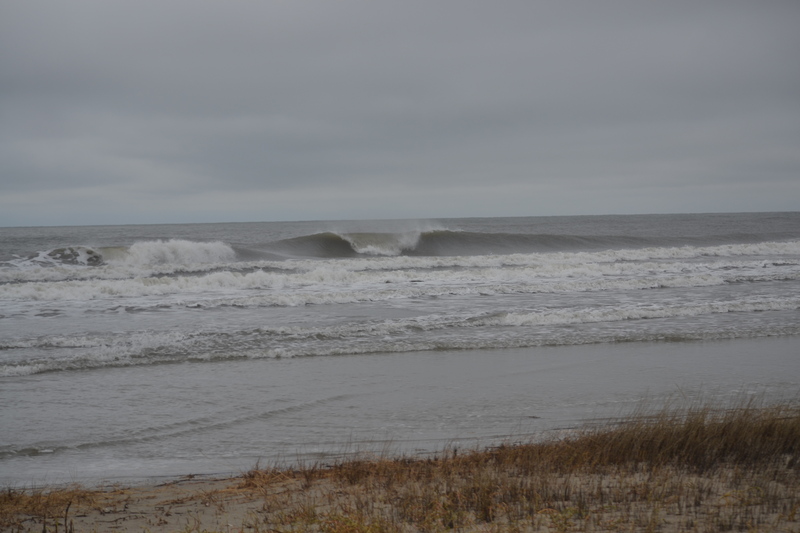 Great swell hit on Sunday with head high plus conditions and offshore winds. Couldn’t find anyone up for the boat ride so a solo trip was in order. 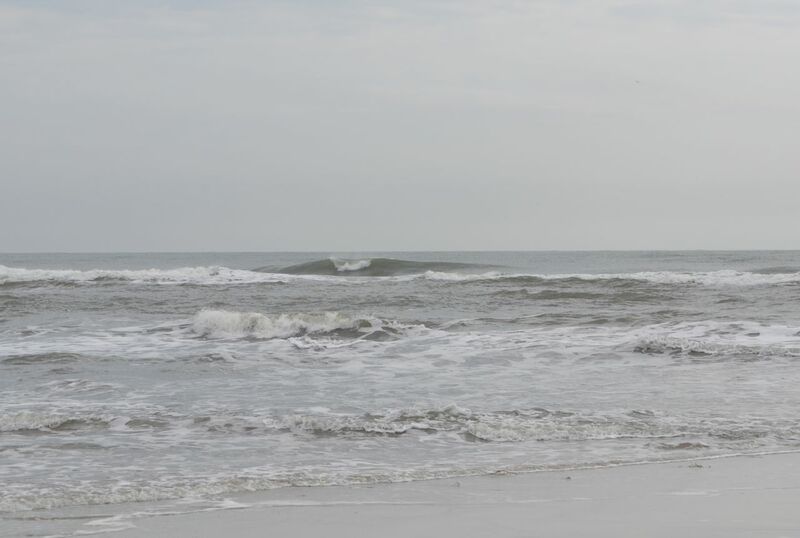 Nothing better than having a entire beach and good swell to yourself and MARY LEE ! Looks as though we are on for another swell later in the week. 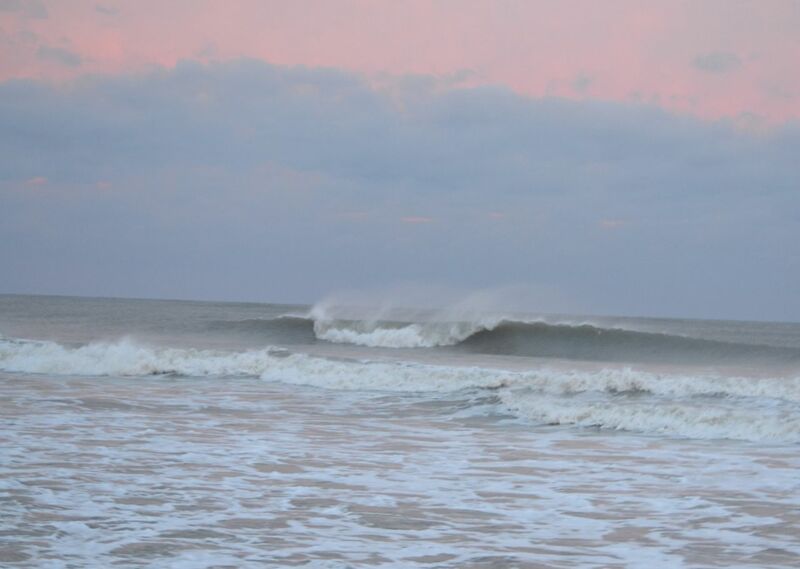 few shots of swell gone by NO CROWDS !!!!! 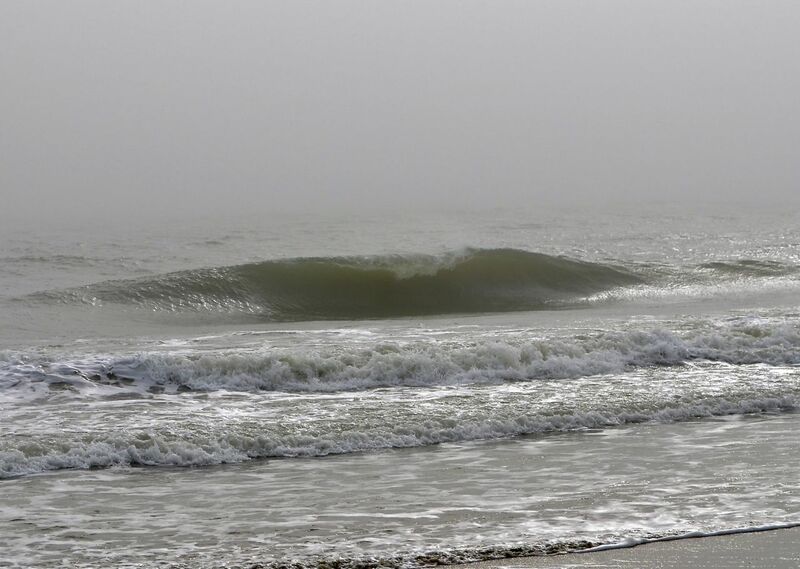 I have guided the coast of Georgia for almost 20 years and have found some great surf along the way. 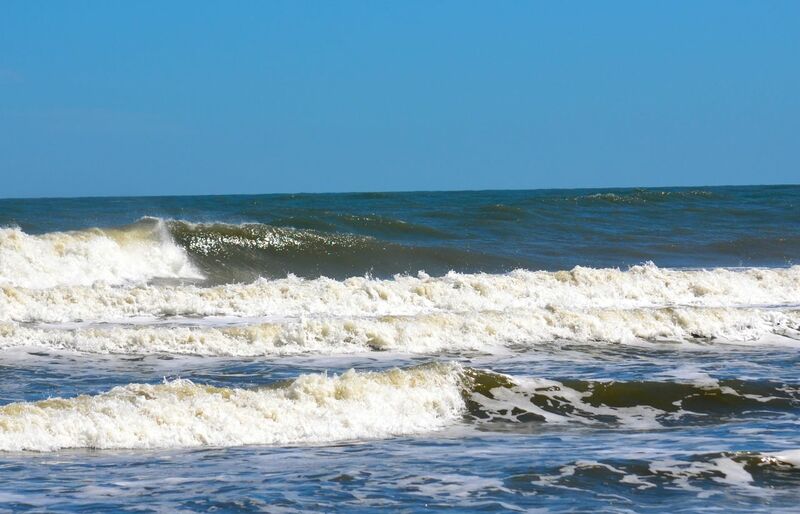 Coming from Cape Hatteras N.C. I was so so about the surf here but the fishery was insane !! 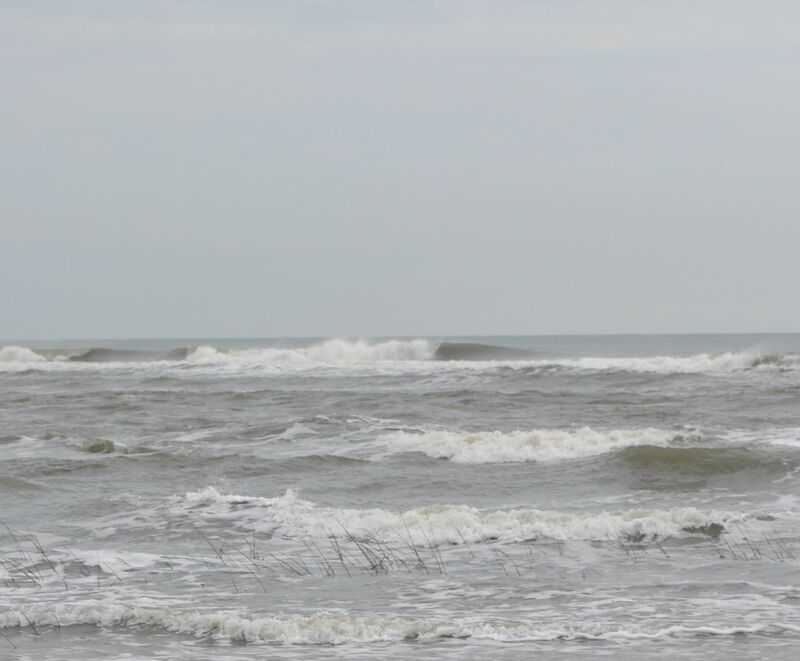 After buying a boat and guiding I found some incredible waves from punchy beach breaks to point like sand bars and the best of it all no one out. When I say no one, you can’t even find a person on the beach ! 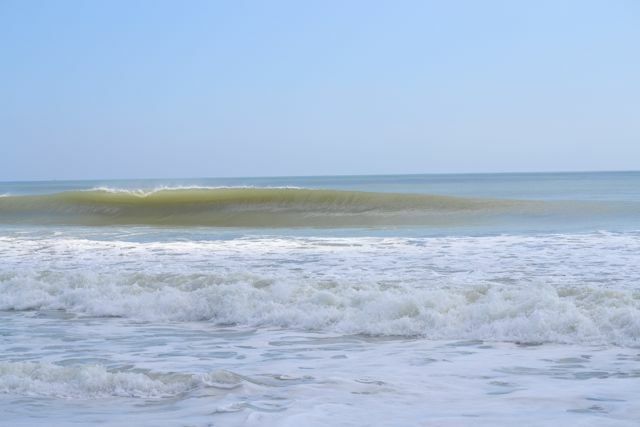 Can’t say the coast of Georgia is the mecca for surfing but if you like uncrowded surf from waist to a foot over head, beach breaks, some point like sand bars and offshore bars that will make you wonder why your four miles off the coast dropping into some bombs this may be a place for you. Did I mention no crowds !!! not even people on the beach. You, your friends and some seriously fun surf. 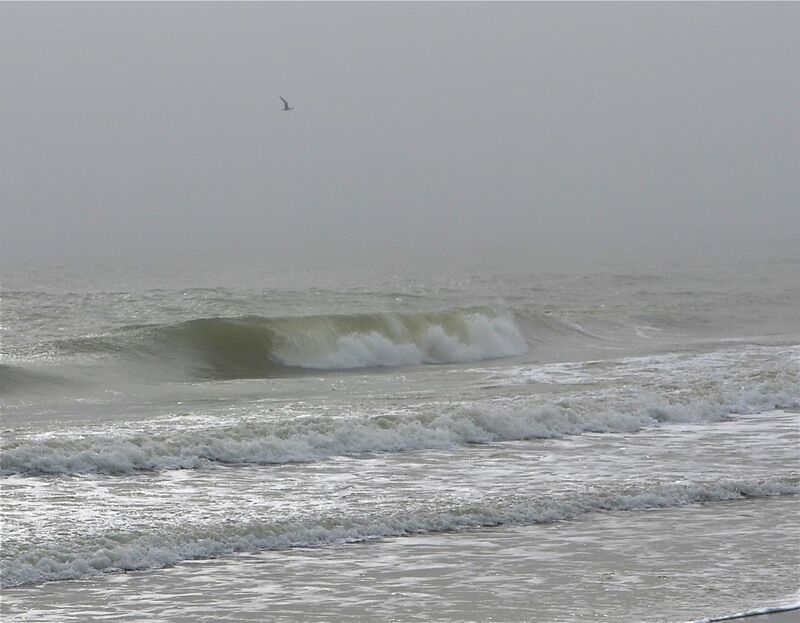 Georgia gets surf year round but can be a fickle and when booking we take this into consideration. 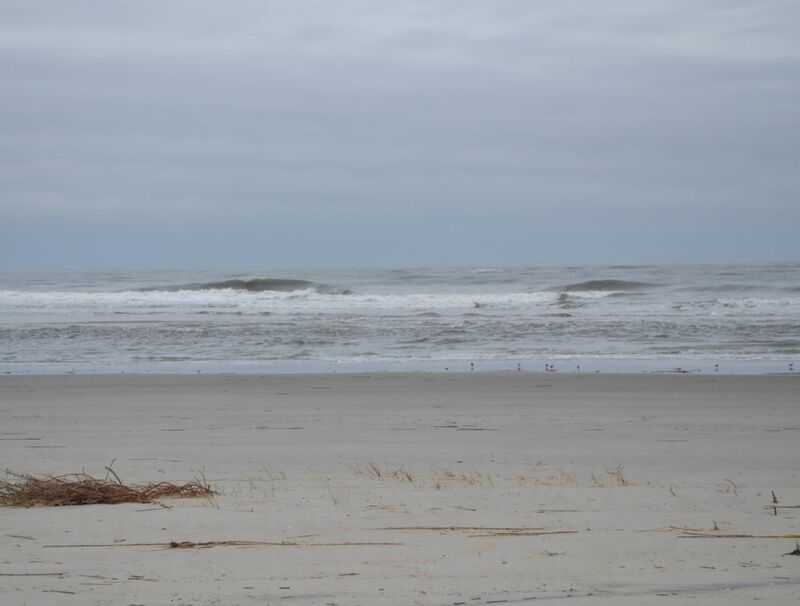 Watching the swell, winds and tide are crucial. I would suggest trying to book a week out and if the swell doesn’t come to we can either cancel or go fishing. Depending on where we want to go we can discuss rates do to some of the longer boat rides to certain breaks.